To make the product really pop, I chose to keep the general color scheme to black and white. When the mouse rolls over the images they become darker and link to the product page. The basic idea for this page is to let the images do the talking. Studio Tapu: A website which showcases some of the fine art, sculpture and jewelry my wife and I make. On the product page the image of the product is enlarged and at the bottom of the page three similar products are linked with thumbnails. 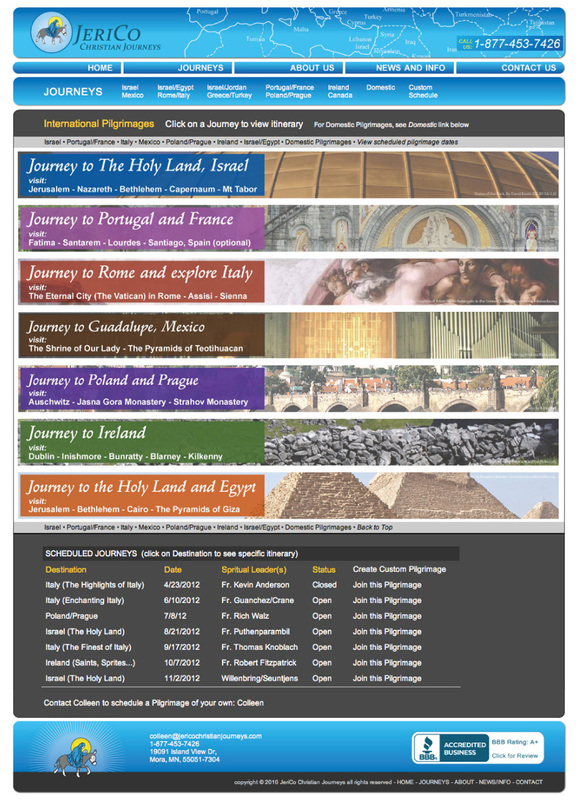 On the About Us page, most of the tenchical aspects of the site are covered. I used simple formatting and small jump-links to keep the site fluid and accessible. 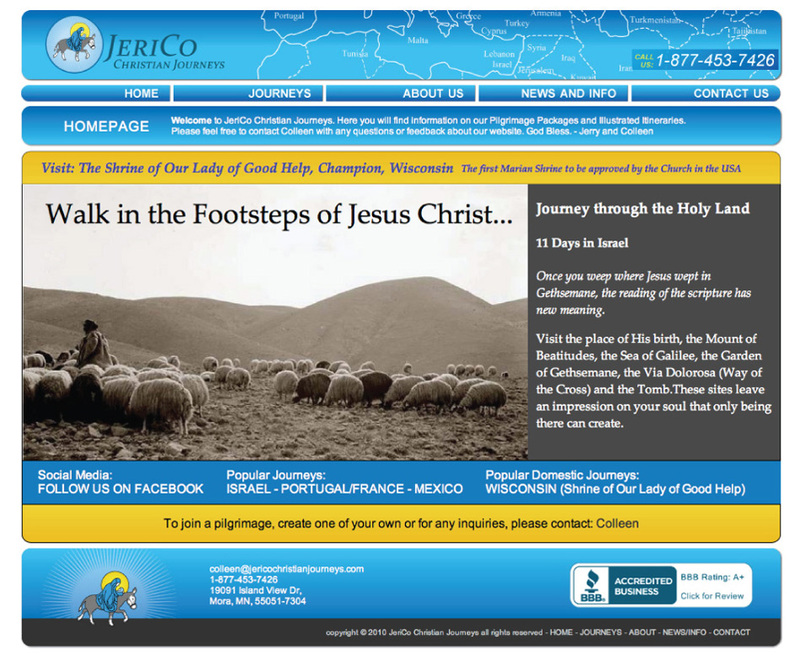 JeriCo: Created for a small travel agency which focuses on custom pilgrimage packages this website expands on the logo theme with a strong use of color and imagery.